No matter if you are a newbie in the world of OSRS, we can guarantee you that you will be overwhelmed as soon as you join the game. 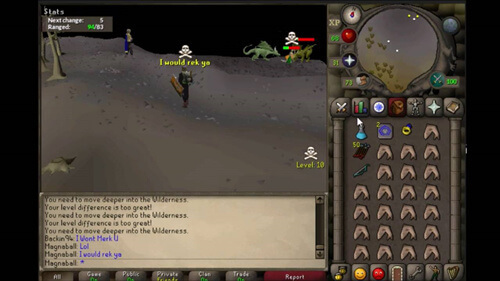 The playing style of OSRS is quite contrasting to the Runescape 3, and you will surely get a tough time in making a solid profit in the game. 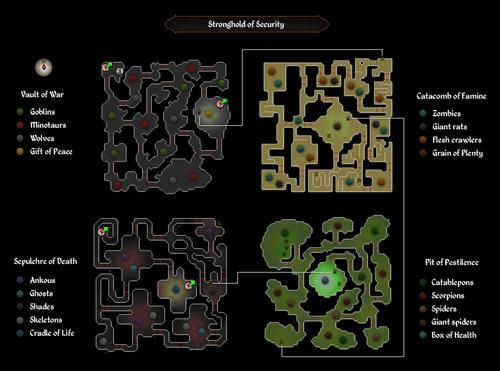 The purpose of this guide is to provide you with the best OSRS money-making strategies. No matter you are new or a veteran player of the game, we can guarantee that you will find everything you need in this tutorial for making as much money as you want and at the end, you will the most informed amongst your friends, on the topic of Runescape money making. This guide not only enlists OSRS p2p money-making strategies. But also offers f2p money making guidelines. So, let's get started. Getting your levels in OSRS is time-consuming. It is the best and easiest way of OSRS money making. Since it opens limitless possibilities for you. Not only in OSRS, but in any game, the best skills are the ones that are quite difficult to learn. So, it is quite important to utilize your skills for the best results. For skilling, you will require, Rune-crafting (OSRS: 1-99 F2P/P2P Crafting Guide), Thieving, Hunting, Slaying, and Farming. Your figures can easily rise to a good amount. Apart from the above-mentioned skills, you can also go for, Mining, Fishing, and Woodcutting. These three skills will guarantee you a decent in-game income. However, you will have a tough time pursuing these, since they are quite popular and some of the best players in the game adopt them. If you are competing in the exclusive members' world, then you might not have much difficulty, since this world is not crowded by many players. However, in the world on non-member's the mines and trees are crawling with players. If you want to invest your time in the non-member's world, then you should check the numbers of active players before pursuing training. Using exchange market (referred to as Grand Exchange), you can make decent money out of the game. You can get the levels easily and offer, herbs, runes, logs, ore, and fishing to the market. As your levels progress, you can chop, craft, mine, and fish a lot better items which can get you more money. If you want to get your hands-on-experience regarding the combat on minor levels and make money in the process, then Chickens are the ideal choice. You can yield (50k/hr) through this process. 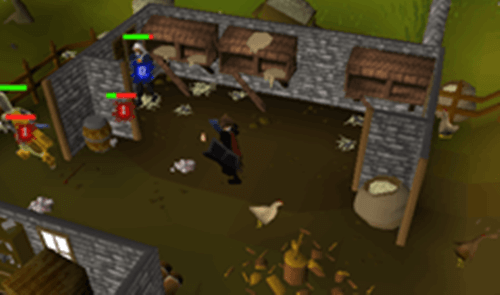 In OSRS there is no way a chicken is going to kill you. This means that you won't have to spend money on baiting foods or purchase any weapon. Chicken drop, raw meat, bones, and feathers are the best choice if you want some decent cash from the bank. The in-game enthusiasts of fly fishing will give you decent money for the feather while those players who wish to level progression in Prayers will pay you well for bones. Feathers are not a problem to deal with since no matter how much you add they will take a single slot. Raw meat and bones will take one inventory slot per addition. So, the latter two items will force you to visit the bank quite often. If you are willing to do the work, then you should visit Lumbridge Castle. There is a bridge next to it which is the perfect place to kill chickens. Do visit the potato field next to the bridge for more raw chicken meat. In other words, killing the chickens is considered as one of the best OSRS f2p money making methods. To keep details secured from the ill-wishers, these were put in play. This dungeon consists of four levels, as you complete each level, you will get handsome rewards. The rewards include some boots, emotes and 10k. But it is quite difficult to get your hand on these, as the monsters combat skill increase as the levels progress and the monster are quite difficult to beat. After you get to level 3 in the game, you will able to adventure into the place. However, at level three, you will get killed by just one hit of the Ankous. We recommend you to face the Ankous after getting at least 15 hit-point levels. You can also get away with it if you have combat level around 49-51. Since you will have access to decent food inventory, but don't go all in with the food, since you will need at least two free slots to claim your awards. Through a tiny point of the Barbarian Village, you can enter the place. If you are finding difficulty to accumulate the food, then you can ask for some fish from the inhabitants of the riverside. Since almost, each one of these players is focused on gaining cooking and fishing level, and they want to deposit their efficiency as much as they can. So, by getting their fish, you will surely be doing a huge favor. Another decent way to make solid cash is to purchase Gold Bars and craft Amulets. Crafting the gold amulets can get you the gold anywhere between 70k-100k per hour. You can get the bars from the exchange and can also sell the crafted Amulets here. Before making this investment, you should inspect the prices of the bars as well as the Amulets. If all goes well, you will not only make a decent profit but will also make progress in Crafting. Initially, we suggest you buy no more than a hundred Gold Bare. For this purpose, you will need around 90k. If you are a member, then we have a great idea for you to make over 450k per hour, by coloring out dragonhides and trade/sell them. The most profitable ones we believe Blue and Green Dragonhides that you get from the Exchange. After purchasing them, you can tan them from Al Kharid. Your only hustle will be going back and forth from tanner to bank until the tanning process is completed. The Tanned hide will give a good profit, but first, you will need around millions in OSRS gold to invest in the Dragonhide (If you want to buy some OSRS GP, please click here). Keep in mind that the tanning process will not only take your time but is one of the costliest processes of the game. It is the best OSRS afk money-making strategies. Attention! Before purchasing the raw material do inspect the exchange market, to see if it is worth your cash and effort. The Enchanting Sapphire rings will also grant you a decent profit, somewhere around 280k an hour. To make the enchanting rings, you will need to purchase Staff of Water, Cosmic Ruse and lastly, the sapphire rings. After getting the items to use level 1 enchant on each ring, we recommend you to buy and sell the rings in bulk. This money-making strategy will not only benefit your pocket but will also boost your Level. The first thing you will require is level 15. For this purpose, you will first have to mine Tin and Copper. After getting the required level, you can jump to the main ore and sell it nowhere else but on the market. If you are efficient and dedicated to the job, then you can get over 110k an hour. If you are a member, then recommend toy to use Monastery mine and also get Ardougne cloak so you can easily teleport anytime you want. If you want to make over 440k an hour, then it is a wise decision to fight Dragons. Since it is open to both non-members and members and is a very enjoyable way to add levels to your combat skills. We picked only Green Dragons for you since, on death, they drop Green Dragonhide and Dragon Bones. For a single Dragon bone, you can make around 150k. While the Green Dragonhides always sell like hotcakes because of the Crafting. Apart from the hides and bones, you can get lucky. The dragons can also drop Rune items and runes, but this happens on quite rare occasions. One of the best areas to encounter a Green Dragon is the Northwest of Edgeville. On your way there, you should have teleport tabs or runes in your inventory. 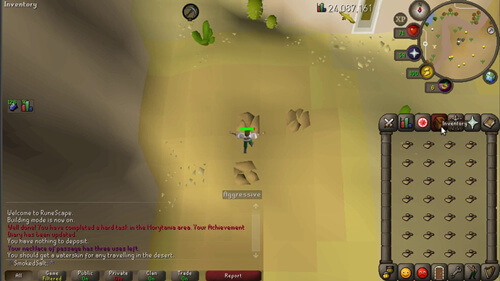 Since the place is also hot for PKers and if you feel like you don't want to fight them, then teleport in the best option. In your conquest against Green Dragon, get the shield from the market since it will help you against the Dragon which sits at level 79. We suggest you pick a melee item with a decent stab bonus or a ranged weapon since the Green Dragons are weak against ranged and stab items. More accurately, get either an Abyssal Dagger or an Abyssal Whip. Wearing a plate armour is good if you below level 70 in Defence. But if you are over 70, then Dragonhide is a great pick. 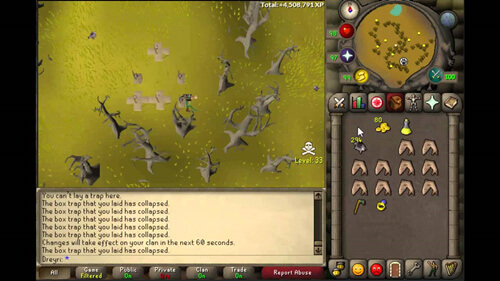 One of the toughest and most profitable ways to make money from the Wilderness is to hunt Black Chinchompas. You can encounter with 32 levels in Wilderness and to catch them, will need 73 levels on the Hunter. We recommend you first to find the respawn point and then set traps around it. Don't be surprised if you encounter PKers as they will pounce on you when you hunt for the Chinchops. Before going hunting, get a teleport tab, food, and Prayer Potions. 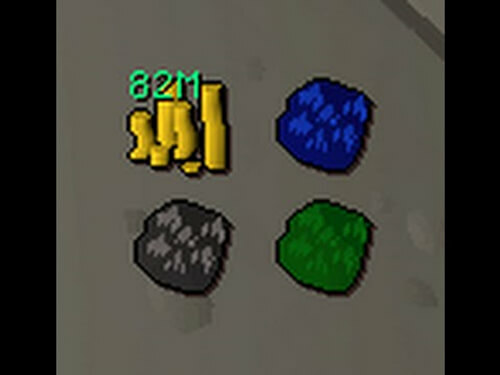 One of the most wanted ores of the game is the Runite Ore, as it is to make Rune weapons and armor. To reach level 85 in mining, you will need to grind over 500+ hours which is quite a difficult feat to achieve. To reward the players, OSRS grants a decent profit on the exchange market, as for each ore you will get a minimum of 10k gold. 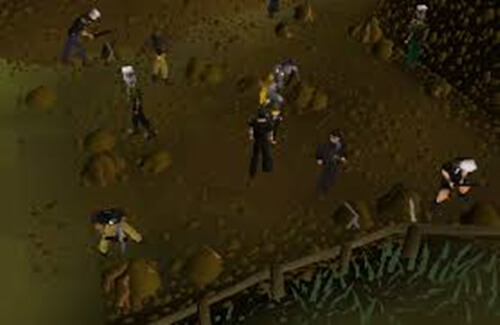 After getting to level 85, you can go to the Hero's Guild mine to extract the Runite Ore. You can also go to the Wilderness Runite mining locations but, here like with the chinchompas you will encounter PKers. We recommend you to get food, and loot before going of Runite ore mining adventures. Pre-Requisites: You should have at least level 68 in Magic, and will have to complete “Dream Mentor" and "Lunar Diplomacy" quests. Lastly you inventory should include the Lunar spellbook, a Steam Battlestaff, several million GP to buy clays and runes. What if we tell you that you can make 500k an hour in OSRS and get an incredible boost in your Magic level? Well, this can be done humidifying clay. It is one of the best and quickest to earn solid cash. Since there's always a never-ending demand for clay, to make soft clay, you will need 27 Clay, Astral Runes, and Steam Battlestaff. After casting Humidify, all you’ll have to do is sell and enjoy your riches. It is one of the most reliable OSRS p2p money-making strategies. End of this guide, hope you have learned a lot from it. Rsmalls is a company with 12 years of experience in selling RS game products. We have been working hard to complete your Runescape needs. Including but not limited to Gold, Items, Accounts, Boosting, Quest, Gold Swap. Please let us know if you have any problems.